Winter is the time to hit the slopes. Nothing is more exhilarating than speeding down a run after some fresh snow falls. Like with any extreme sport, you need the right gear. You know you need your skis or snowboard, your helmet, your goggles and your gloves, but what about somewhere to store your belongings? You may want to take some snacks, a bottle or two, or you’re traveling and you need somewhere to store your gear. This is where the backpack comes in, and we have reviewed our favourite skiing, snowboarding, and small backpacks that will be ideal for when you’re out on the mountains skiiing or snowboarding. 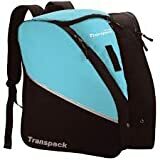 The best skiing backpack is theTranspack Edge Isosceles Ski Boot Bag, carry your boots and gear with ease, on the slopes or traveling. The best snowboarding pack is the Athalon Everything Boot Pack, able to carry your boots and essential gear, it’s great for traveling. The best small backpack is the Fjallraven Kanken Mini Classic Pack, it’s extremely well made and the history to back it up. 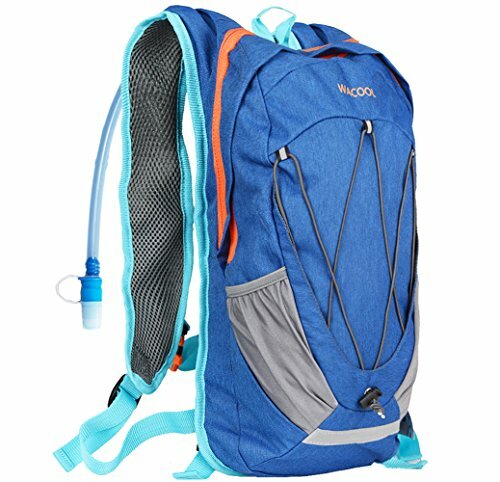 The best hydration pack is the WACOOL 10 litre Hydration Pack, huge water bladder will keep you hydrated for extended periods of time. The best All in One pack is the Team Pack Ski Boot Bag, high quality and able to store all your gear and more. Storing your belongings or gear is essential if you’re planning a skiing holiday or spending a day on the slopes, these are our favourite backpacks to help get the job done. 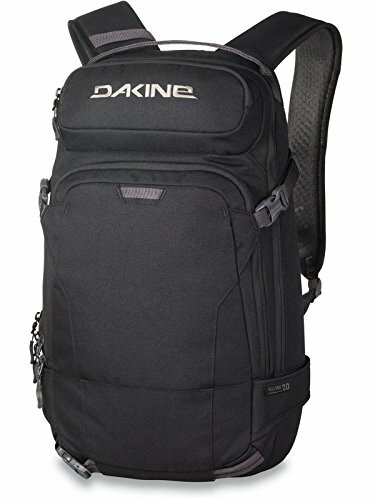 This Dakine Heli Pro is any skier’s dream backpack. Fitted with a place to put your skis, as well as a fleece lined goggle pocket, and a place to store your laptop and tablet, this is a great pack for any snow sport enthusiast, made by a well respected and known brand. With a 20L capacity, you are sure to have enough space to carry everything you will need for a day out on the slopes. The fleece lined goggle pocket ensures your goggles will be kept safe and not be damaged by a fall or by something else you keep in the pack. This pack is also hydration compatible, meaning all you need is a water bladder and this can double as the ideal hiking or trekking partner. Definitely a useful feature if you’re planning on having an extreme day on the slopes and need a drink. This pack also comes with a rescue whistle on the sternum. If there’s an unfortunate accident and you don’t know where help can be, this is an extremely useful addition that can definitely come in handy. This pack has been described as a bit of a chameleon by some reviewers, as it can do and be whatever you need it to be for the day. A ski pack, a hiking pack, a bag for travel or even for work or school. If the price isn’t a problem for you, we highly suggest investing in this great all round pack. The Outlander Daypack is an affordable, comfortable, and rugged all-round backpack. Perfect for taking out on the slopes, a snow walk, or a hike. Store your essentials safely and efficiently. 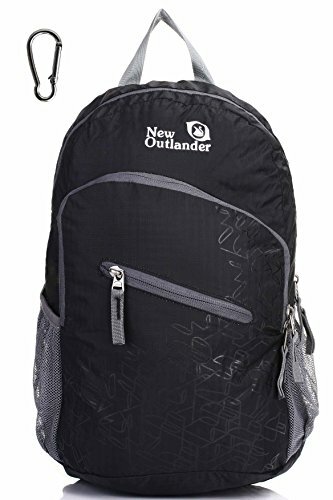 The Outlander Daypack is incredibly compact and can be stored within an inner pocket. Theres no need to carry it around while it isn’t in use, you can easily store it in a handbag or carry on, and pull it out when you need it. 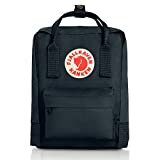 This backpack also comprises many small compartments to store your important essentials, as well as pockets on either side for water bottles or umbrellas. This is perfect for the days when you need something more than just somewhere to put your wallet. With 20-30L options, this backpack can mould to your needs and do whatever you may need it to do, store some gear, a tablet, or snacks to enjoy on the mountain top. Built to be light, but also very durable. The backpack is made from highly rip and water resistant nylong fabric, meaning this bag is strong, and will last a long time, even through regular use. This pack is an ideal partner for everyday use, hiking, or a skiing holiday. This all-in-one pack from Transpack can be your new best skiing friend. Lightweight and incredibly rugged, you can store your gear as well as your boots, ideal for a hiking up a mountain or traveling with your gear to your next ski spot. The bag is made out of extremely durable, but very lightweight 600-denier PVC coated polyester, making this bag rugged and weatherproof. It can withstand an weather you throw at it and live to tell the tale. Snowstorms and rain don’t stand a chance. There is also an internal zippered pocket that you can use to store any smaller essentials, and the bag has double lock zippers, giving you the peace of mind that it will stay closed while travelling, hiking, or skiing. It also has adjustable neoprene shoulder straps, making it incredibly comfortable to wear, and being lightweight, the only weight you need to worry about, is whatever you put in it. This is a great pack for those of you who need more than a backpack and need somewhere to store your boots and extra gear. Hitting the slopes with a sturdy and reliable backpack is a must, especially when it’s carry your gear. Here are our favourite snowboarding backpacks. 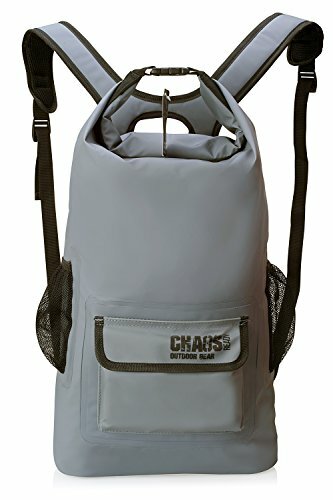 The Chaos Waterproof pack is the ultimate dry bag. This pack is 100% waterproof and is great for winter and summer activities. A great all weather, all activity pack. The waterproof main compartment will keep all your essentials and gear dry, and can withstand rain, dirt, and snow. No need to worry about any water getting in if you drop it in the snow or get caught in the rain. The pack is made from heavy duty and highly durable 500 PVC tarpaulin, as well as incredibly strong seams. This bag can take a bashing and still be fine, incredibly durable and strong. The 22L storage capacity is just the right size to fit everything you may need on the slopes. The pack also has mesh side pockets and a front storage pocket. These pockets aren’t waterproof, but are great for storing bottles or other gear you have that you don’t mind getting wet. This bag comes with a 100% money back guarantee, but from what we’ve seen and reviewed, we don’t think you are going to return this bag anytime soon. It is a great all year, all activity pack. The Athalon Everything Boot bag is capable of storing all your gear (except board unfortunately) in a well organised, well designed and comfortable pack. 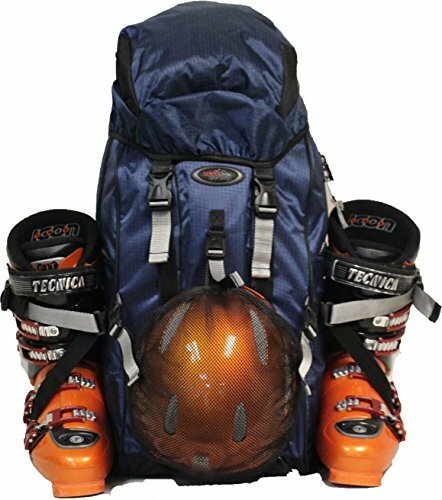 Great pack to use while travelling or on the slopes. Made from high density polyester with a reinforced backing, as well as reinforced straps, and padded lumbar support, making this pack incredibly comfortable to wear, no matter what you pack into it or how heavy it is. The pack has a large main compartment, as well as separate side compartments for your boots. It also has a expandable pocket that is perfect for a helmet or a jacket. There are bungy cords on the front that you can use to hold other gear such as a walking pole, goggles or whatever else you may need. The waterproof tarp along the bottom keeps all the contents dry. The boot sections has drainage holes to let excess water escape. The bag also has clips in each pocket to hold glasses, gloves or keys. This pack is certainly a candidate for one of the best. Able to hold all your gear, as well as some extras, being incredibly strong and durable, means this bag will last a long time and will accompany you on every ski trip. 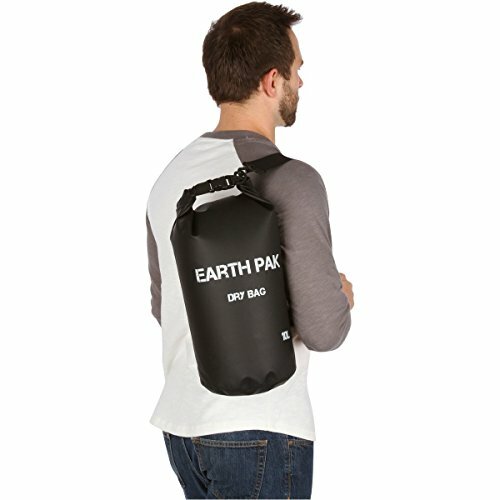 The Earth Pak Waterproof Dry Bag is one of the best dry bags on the market. Having multiple capacity sizes and being 100 waterproof, this bag is designed to keep your possessions safe and dry. As their makers describe, these bags are designed to be rugged and last for an incredibly long time, no matter what you decide to do with it. Being completely waterproof, you can be sure that your gear will stay dry, irrelevant of the conditions. 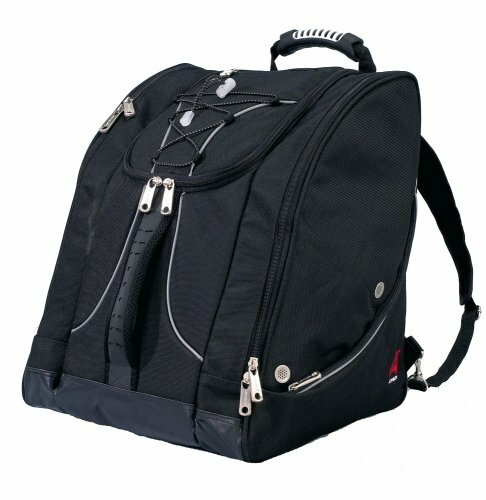 The bags come in 10, 20, 30, and 40L options. All the options are equipped with backpack style shoulder straps ensuring you a comfortable wearing experience. There is also a sternum strap just in case you need that extra stability. This dry bag is completely waterproof. No amount of rain, water or snow will be able to penetrate it. The pak also comes with a waterproof smartphone case, that can fit most smartphones. No need to worry about your device getting wet either. Great extra. This dry bag definitely does its job effectively and efficiently, keeping all your gear and possessions dry and safe, while still being incredibly easy and comfortable to carry and use. Sometimes you may just want a small backpack to carry a few personal belongings, such as a camera, wallet, keys, or whatever you may need out on the mountain. Mulit-functional, can be used skiing, snowboarding, hiking etc. 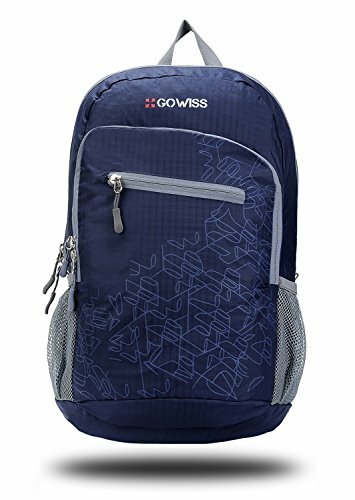 The Gowiss Foldable Backpack is a brilliant little pack that is durable, waterproof, and incredibly light. Being foldable, it is also possible to store it in a pocket or travel bag, and take out when needed. Being foldable, the backpack can fold up into an inner pocket and be stored in a handbag, a jacket pocket, or a bigger travel bag. You can also take it along with you just in case you may need a backpack on the trip. The pack is water resistant, but not waterproof. If the pack falls into a pool, it will leak, but rain and snow will run off of it. The bag is made of a high quality and durable nylon material. Water resistant is a plus, but be aware, it IS NOT waterproof. The pack is a classic and recognised backpack shape, and has a number of compartments to store all your belongings in an easy and convenient way. It also has two mesh side pockets to hold sunglasses, water bottles, or whatever else you may want to take. The pack is very lightweight, you won’t even notice you’re carrying it. It is multifunctional and can be used on the slopes, hiking, walking, or just general travel. It also comes with a 90 day warranty. The 35L Oricsson Lightweight foldable backpack is a durable, strong, waterproof, and tear resistant foldable backpack that can bend to your needs, depending on the day or activity. The backpack is incredibly sturdy and from high quality, waterproof, tear resistant nylon material. The pack is fitted with metal zippers, and the 31 stress points are reinforced with bar tack, the shoulder straps are padded and incredibly comfortable. The large storage capacity can hold a number of your possessions. The inside has large pockets, there are smaller pockets for small accessories, as well as outer mesh pockets that can hold water bottles etc. Being foldable, the bag can fit into a pocket, or into a travel bag. It is also lightweight and can stored and carried very easily. The bag has multiple uses and can be used for a hike, a day trip, a day on the slopes or just for travel or storing items. 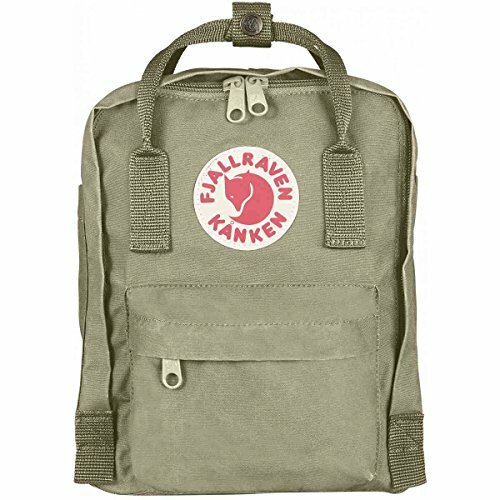 The Fjallraven Kanken Mini Classic is the smaller sister pack to the classic Kanken pack that has been around since 1978. This pack definitely has history on its side. This bag is made from strong, dirt and water resistant Vinylon F. this bag is rugged and durable and can handle almost every environment. You can easily wipe away any dirt, this bag is very easy to clean and keep clean. It may not be the biggest bag, at only 7L, but for a small bag, it is actually the ideal size. You can easily store your essentials, keys, wallet etc, and be sure they will be kept safe and dry. The bag also has a rain flap so that rain can’t sneak its way in case you get caught in a storm. The bag is versatile, and is fitted with shoulder straps so that you can carry it on your bag. The small size makes it a great bag to take while skiing and snowboarding, and you will barely feel it’s there. You don’t want to get caught out on the slopes thirsty, that can end a great ski or snowboard day very quickly. With these hydration packs, we are sure your thirst will always be quenched. 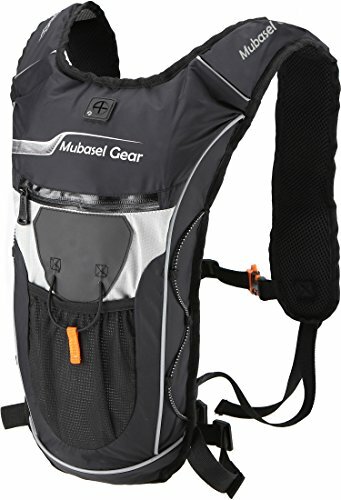 The Mubasel Gear Hydration backpack is designed to be rugged, and strong for and all outdoor activities. It can hold 2 litres of liquid, as well as having 3 storage compartments that you can use for other gear, or even another water bladder, depending on your needs for the adventure. The water bladder is completely BPA free, and an email with these details will be sent to you if you want to confirm. The bladder also has thermal insulation to keep the liquid cold and refreshing. The bag has multiple compartments for you to store extra gear in, as well as mesh side pockets store extra bottles of liquid. The bag also has a 100% leak proof design, ensuring your gear in the bag won’t get wet, and you won’t lose any liquid. This bag is very comfortable to wear, as well as being light. It’s perfect to take out on a hike, a walk, or when you’re tearing up the slopes and need a refreshment. The Wacool Hydration pack is lightweight, waterproof and made from anti scratch nylon. It is also designed with an air flow system that helps keep your back cool and dry on warm days. The pack is made with a double layer design, meaning the water bladder is kept in its own compartment, giving you extra space to store other gear. It has comfortable shoulder straps as well as a thickened back. The large capacity pack has space for a fully filled bladder, as well as extra space for a laptop, a tablet, or any other pieces of gear you may need. Great for a hike. Much like the Wacool we just reviewed above, this Wacool 10 liter pack has more storage capacity, with the same sturdy design and reliable functionality. This pack comes with a 2 litre bladder to store enough liquid for a hike or a few runs down the slopes, as well as the air flow system that will keep your back dry and cool on warmer days. The pack also has the double layer design, with the bladder being in a separate compartment. The pack has a 10 litre capacity, meaning not only can you fit your laptop or tablet in it, but also a range of other gear or accessories you may need. 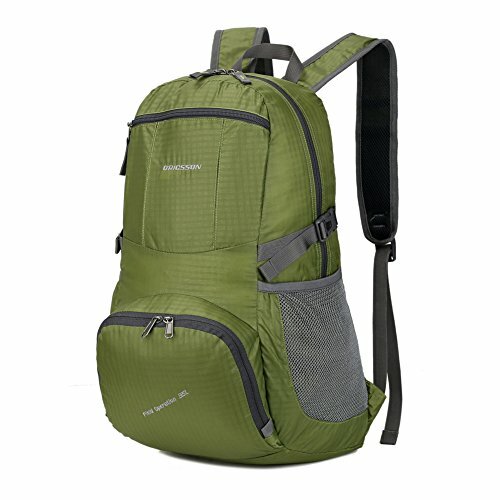 The pack comes with fully adjustable, wide and comfortable shoulder straps, with a thick and cushioned pad design. The pack also a drawstring, allowing you to hang a helmet, goggles, or whatever else you may need at hand. These packs are designed to carry almost everything you will need on a snowboarding or skiing holiday, or when traveling with your gear. The Team pack Ski Boot Backpack is the perfect companion out on the slopes, on a skiing holiday, or traveling with your gear. The pack has a large compartment that you can fit clothes, jackets, or other gear. There is a mesh lid to carry your helmet, and you can strap your boots to the side of the bag. This pack allows you to carry all the gear you will need for skiing and snowboarding, as well as many extras, making this an ideal all in one pack. There are also multiple smaller pockets for you to carry any smaller essentials such as your keys, wallet or cellphone. The pack also has fully padded and extremely comfortable shoulder straps, ensuring you still can carry the bag comfortably even if it is full of gear. There is also a convenient carrying handle making it easier to move if traveling on a plane or simply carrying it. The World Cup Backpack by Zipline is a very large, almost completely waterproofpack that allows you to carry clothing, your helmet, your ski boots, and any other essential gear you may want to travel with or take up on the slopes. This all in one does its job absolutely brilliantly and won’t let you down. The enormous main compartment allows you to carry pants, shirts, and even your skiing jacket. It is also waterproof meaning your gear will stay dry no matter the conditions. The waterproof reinforced nylon material is super strong and durable, and the waterproof zippers ensure against leaks. The pack has a fold away mesh flap that zips into the bag and can be used to hold your helmet. 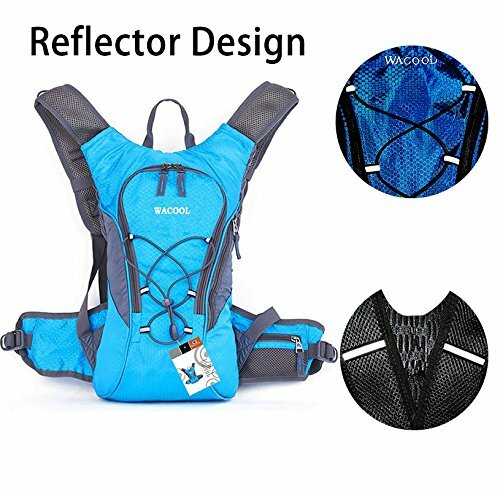 The padded shoulder straps, as well as the sternum and waist straps are super comfortable and spread the weight of the pack evenly preventing any strains when carrying a heavier load. The pack has multiple smaller pockets that allow you to carry multiple smaller pieces of gear, and there is also a sleeve that you can use to store a laptop or tablet. This makes the pack one of the best skiing or snowboarding holiday packs around. There you have it, those are our reviews on the best skiing, snowboarding, small, and hydration packs. We are sure you will find the right pack for whatever adventure you may find yourself on.